Just in time for SCREAM 4, which comes out this Friday, I am proud to announce the unveiling of my upcoming poster releases as part of the acclaimed MONDO POSTERS' ongoing DIRECTOR SERIES. I am honored to be a part of the project and was excited when I was picked to work with director Wes Craven & Mondo to design posters for 2 of my favorite horror movies ever (Craven's DEADLY FRIEND being a close third! BEBE!). Anyway, check em out below, and here is a nice write up about them from our friends at FirstShowing.net. Prints are limited and will go on sale on APRIL 14 ONLY THROUGH MONDO! Now, what's YOUR favorite scary movie?! And no, you can't say the Justin Bieber movie, that's way too obvious. 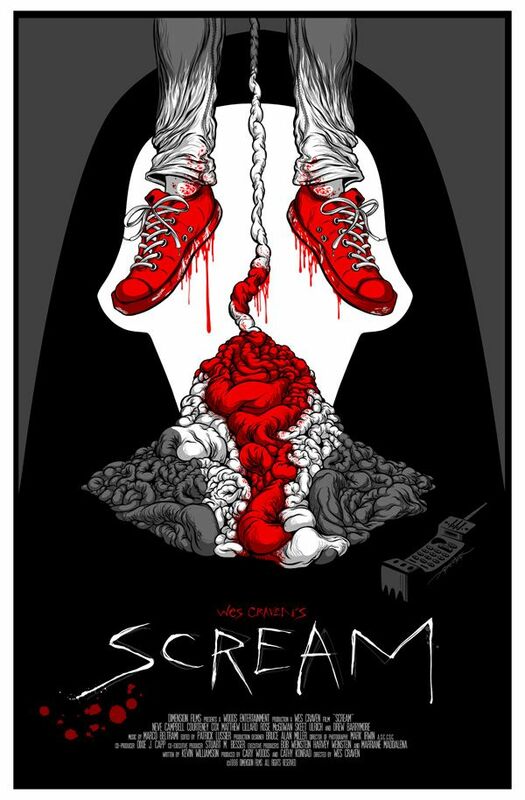 "We've seen his work previously for special posters commemorating Inglourious Basterds as well as an awesome Sucker Punch shirt at Comic-Con in 2009, now artist Alex Pardee has teamed with Mondo to deliver two new fantastic movie posters for Scream and A Nightmare on Elm Street. One could argue that these two Wes Craven films have influenced two different generations of horror and helped the changing face of the genre in their own ways. These cool posters somehow capture the spirit of the horror and gore of each film. With Scream 4 hitting theaters this Friday, it sounds like these posters hit the web just in time. The new posters are part of Mondo's Directors Series, and the filmmaker himself, Wes Craven, says, "It’s an honor and great fun to be chosen by Mondo to participate in their Director’s Series. I think the posters brim with wild imagination and sly humor. Thank you so much – I’m pleased my films have earned a place in your gallery!" 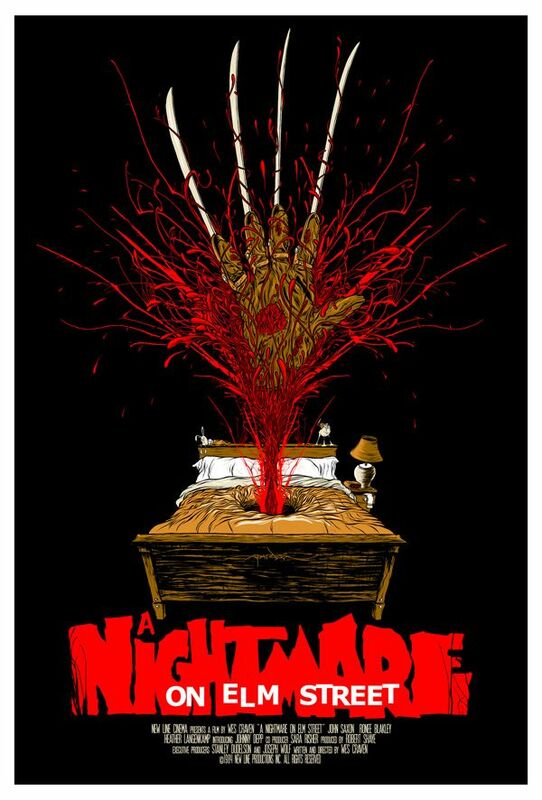 A Nightmare on Elm Street has a print run of 160 and Scream has 140 of the prints available. They measure 16 x 24 inches and will cost you $35 each when they go on sale at some point on April 14. As always, follow MondoNews (@MondoNews) on Twitter to find out when exactly they'll be on sale. " The Free At-Home Version Of STEVE BUSCEMI'S EYES! "HEROES" Fukushima Charity Print Now Available. Weekend Update with Mennis Diller! MY LITTLE BONY Products Now For Sale!